The Arizona Technology Council (AZTC) is honored to partner with incredible local organizations to help us accomplish the many initiatives we have over the year. In 2018, AZTC had the opportunity to engage MSS Business Transformation Institute (MSS) to assist us with an organization transformation. “The combination of AI and predictive analytics on big data is the next big wave,” Lu says. A disruption is coming in the world of data analytics, powered by increasing computing power and the rapid development of artificial intelligence and machine learning. In this article, Lu shares more information on taking advantage of predictive and augmented analytics and lists three key elements for a successful data and predictive analytics workflow: Data Preparation, Data Modeling, and Sharing and Operationalizing Findings. On the contrary, she says. “Data should serve the purpose, not drive the process.” Lu says that infrastructure is not indispensable, and you can still generate significant business value from your data without having it all in one place. She suggests shifting your thought process from focusing on what data you have available to focusing on what business issues you’re trying to solve. This approach is all about “tying analytics directly to outcomes, taking action, and delivering value in an agile way,” says Lu. In her third article, Lu investigates analytics maturity and how it affects the success of capturing and evaluating data. She explains there are three components that affect analytics maturity for an organization: Technology, Business Competency, and Culture. Regarding technology, Lu says you should consider three elements for selecting your tech: Data Infrastructure, Data Quality, and Technical Talent. The data infrastructure lays the foundation by bringing all data sources together into a single repository. Lu recommends investing in an infrastructure with agility, so you can quickly capture new data and make adjustments when needed. Lu goes on to emphasize the importance of your infrastructure design with appropriate data collection and storage process in mind. You must also ensure you build proper quality assurance and control processes to ensure highest quality of data possible. When talking about talent, Lu urges business owners to “find the talent you need for a competitive advantage against your actual competitors, not Facebook or Google.” It’s easy to get caught up on the talent you can’t afford; your next analyst could already be working in-house. You also need the right team: decision-makers who can act on the data and business analysts who have the right analytical talent but also interpersonal/business skills to bridge the gap from data to business. Provide incentives to not only the employees handling the data, but also the frontline employees using the outputs. Can’t Get Enough of Lu? We know, she’s pretty great, and has a wealth of knowledge related to data science and analytics. We are lucky to have her in Phoenix. Check out her Advanced Analytics Webinar here, and a video interview with her colleague, David Lee on YouTube here. Have a specific question for Lu Hao? You can reach her at lhao@mssbta.com. 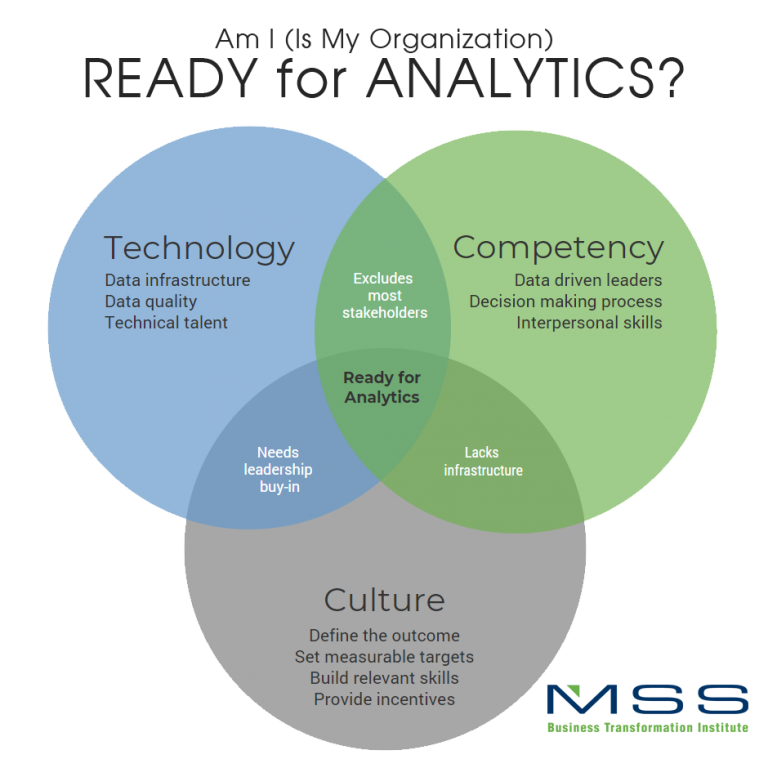 Interested in Advanced Analytics for your organization? Contact MSS at 602-387-2100 or bjung@msstech.com.